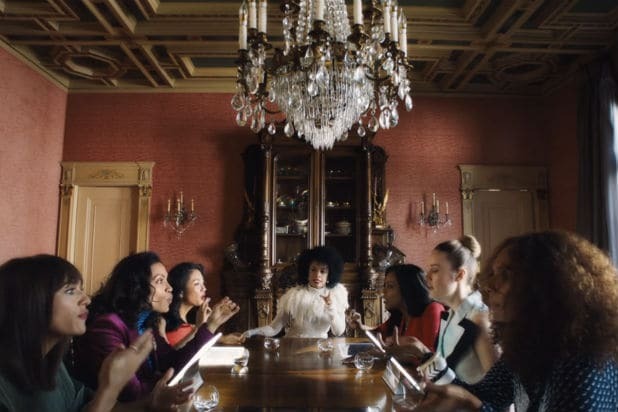 The star-studded music video for Jay-Z’s latest single “Family Feud” captivated social media on Friday, but after sitting with the Ava DuVernay-directed piece for a day, it’s clear that a new era for the mogul and his superstar wife, Beyonce, is upon us. “Family Feud” ticks a couple of boxes. It’s a stylish and emotional vehicle for the rapper to absolve himself of public sins; it’s a showcase for diverse entertainers like America Ferrera and Michael B. Jordan and activists like Janet Mock; it’s a rebuke of President Donald Trump’s divisive politics; and it’s a fabulous excuse to watch Beyonce and her daughter Blue Ivy stand beside the man of the house as he contemplates the end of his reign. It’s a repeated thesis from Jay that generational wealth is the best route to equality for people of color. There’s also a sort of bittersweet lament that progress might not reach its peak in his own lifetime, but progress is still progress (something heavily explored on his track “The Story of OJ”). Jay and DuVernay are both credited as writers on the nearly 8-minute short, which begins with a narrative before we get to the song. Set in the year 2444, Jordan and “Westworld” star Thandie Newton play warring members of a grand family. Their conflict ends in murder, assisted by “Moonlight” star Trevante Rhodes. News of the crime spreads in this futuristic republic and taints one of its leaders (Omari Hardwick), a relative to Newton and Jordan, and forces an examination of the family over the 400 years they’ve risen to power. There are stops in 2148 (with a cameo from David Oyelowo) and a revolutionary war in 2096 (a sequence that features Storm Reid, the lead in DuVernay’s upcoming “A Wrinkle in Time”). 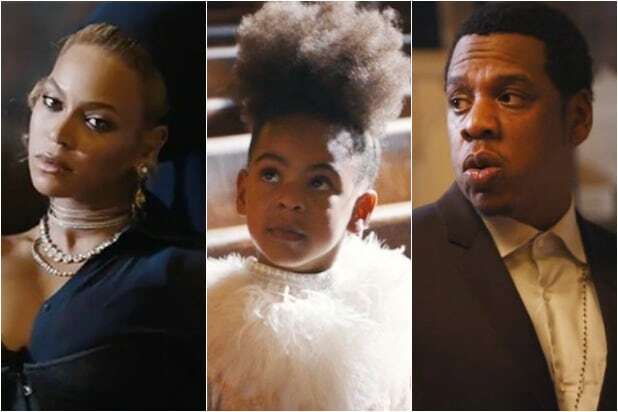 In 2050, a glorious set piece imagines a grown up Blue Ivy (played Susan Kelechi Watson) as a revisionist to the constitution. She consults with a panel of female leaders that includes Mock, Niecy Nash, Rosario Dawson, Brie Larson, Mindy Kaling, Constance Wu and Rashida Jones. 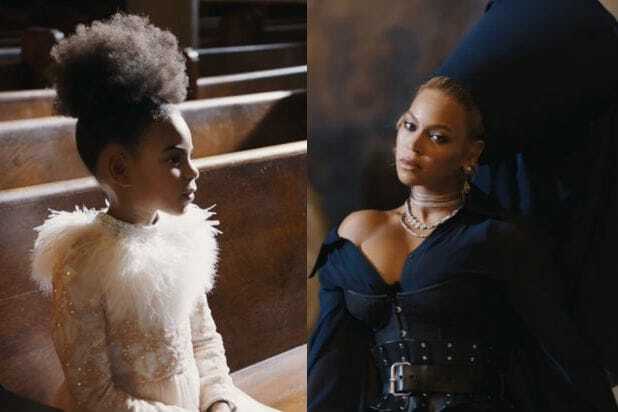 We back up one last time to 2018 where young Blue Ivy enters a church with her dad, is seated in a pew and listens to his confession while Beyonce watches over both from the pulpit. “Nobody wins when the family feuds,” Jay says. We also get a sense that, perhaps finally, Jay has learned that the only way to make himself whole is to heal and respect his loved ones. Throughout the video, Beyonce sits opposite Jay in a confessional booth. The image’s intention is obvious, but we can’t help but feel it telegraphs the end of a chapter and ushers in the Post-Infidelity Carters. When confession is said and done, after all, sins are absolved. They wash away. Jay-Z has given us a series of personas throughout his long career, mostly that of a savvy business man who built himself up from a hustler in Brooklyn’s Marcy Projects. In his single days, we saw a weary ladies man. With the 2013 album”Magna Carta Holy Grail,” we saw him try to reconcile commercial appeal and high-brow artistry. But his empire has been built many times over. 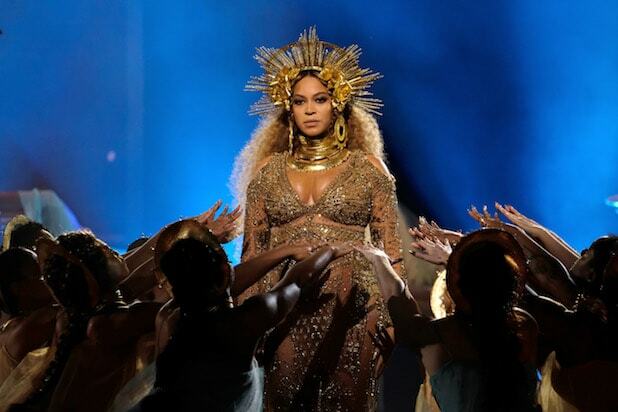 If this latest single and album is about anything, it’s about contextualizing his legacy and setting up for the next chapter in the Carter dynasty. “Black-owned things, hundred percent, black-owned champagne / And we merrily merrily eatin’ off these streams,” Jay raps. He’s referencing the sparkling wine Ace of Spades and music streaming service Tidal. “Family Feud” is streaming exclusively on Tidal. Watch a one-minute clip below.